No technical knowledge or previous experience required. If you like old radios, we will help you to make an impressive collection! links Tablets like iPad may open the buttons below as a new tab, so look for the tab if you cannot see the new page. Click on the cover above for a sample issue Radio Waves magazine is 64 pages - 48 in colour and 16 pages of classifieds. Not available in Newsagencies, this high-quality publication is one of the world's best historical radio magazines. 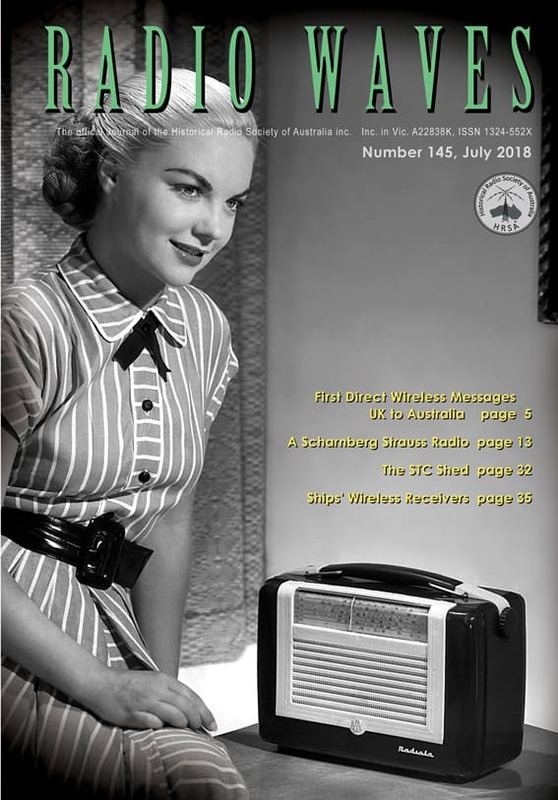 Features include how radios were restored by members, circuits, how to build your own radio or crystal set, a huge classifieds section for obtaining parts, details of vintage radios, considerable pre-1970s radio-related information, events, the history of radio, news and much more. at the mighty Exhibition Park in Canberra (EPIC). Recommended for locals and travellers through SA during May. All text and images copyright.